The spirit of Modo's co-operative past, present and future was celebrated this week at our Annual General Meeting. 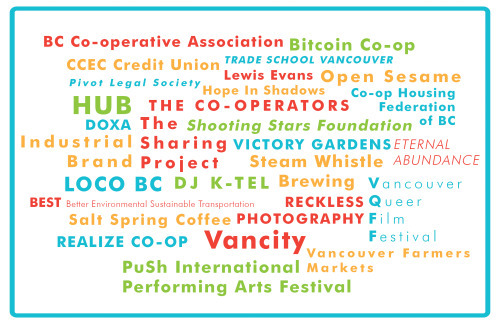 The evening began with our first-ever Co-op Fair, featuring a dozen local co-operatives. After, the AGM was called to order, with report after report offering members good news about their car co-op, including the highest fiscal earnings in Modo's 17-year history! After the AGM, members, Community Partners and friends packed Modo's offices for food, drinks, music, prizes and mucho mingling at the (sold-out) After-Party. Click through to see photos from the party! 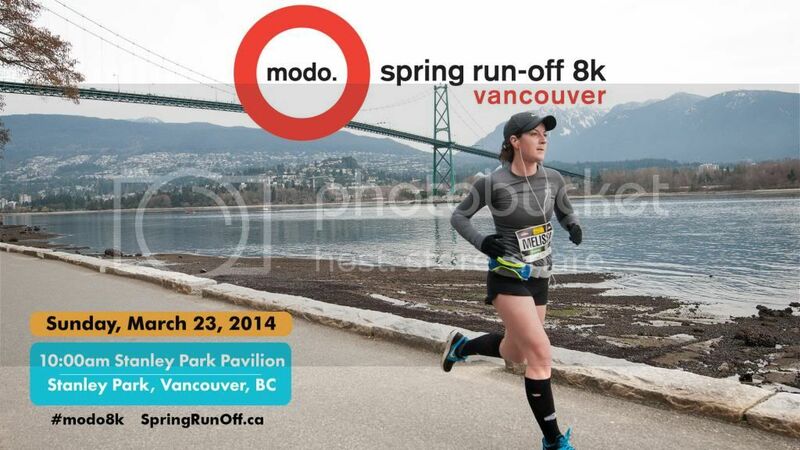 have you registered for the modo 8k? At Modo's AGM, After-Party and first-ever Co-op Fair, the entire Modo community came together to connect and celebrate. Thank you to our members who helped make the evening a success. Special thanks to our volunteers – especially party planning committee volunteers Cheryl H. and Julie T. – and our Community Partners and co-op friends who donated their time, energy and some fantastic door prizes! >> CLICK the photo to find our online registration form, then jump to our Facebook page to view our Modo 8k Training Journal and Modo 8k group! 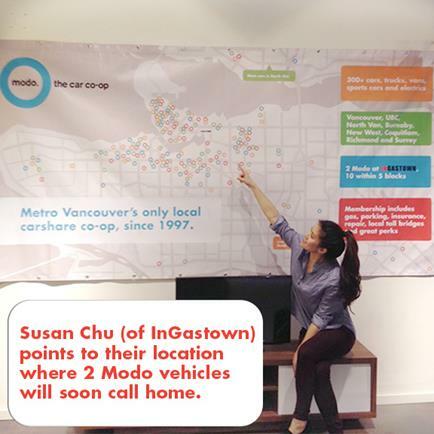 Read about InGastown's one-of-a-kind #CarForCondo deal and how Modo is supporting homeowners to live (mostly) car-free in The Province: Your crappy car can become a down payment on a new Vancouver condo. And listen to Cam Good of InGastown chat with Bill Good (no relation!) in this clip from the Bill Good Show on Jan 23, 2014. >> TAKE A HIKE! Modo is thrilled to bring on the Take A Hike Foundation as charity partner in the #Modo8k! Look for details on how to pledge your support for this phenomenal local organization. >> READY TO RUN? We're counting down to the #Modo8k on March 23 and training with members of the Modo 8k Facebook group. Have you joined? >> COMING SOON Our annual survey will be popping up in your mailboxes next month. Please take a few minutes to let us know how we're doing and how Modo can better serve our member-owners! >> BEAN TO BAR Local artisan chocolate + coffee company (and fellow LOCO member) East Van Roasters was recently featured on Shaw TV. 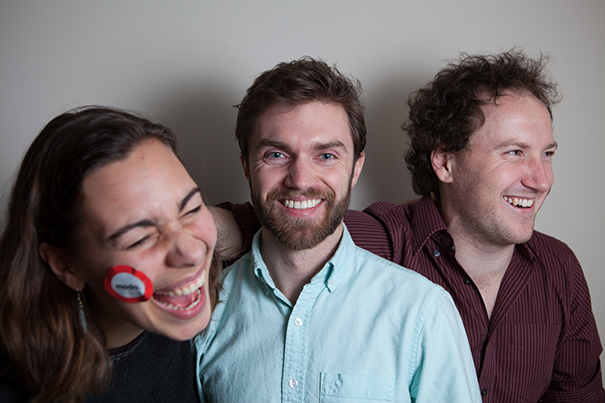 Watch their story of social enterprise here. Collaborating with OpenMedia.ca, this second design jam of 2014 will explore how matters of digital access, choice and affordability affect our daily lives, and propose solutions that put people first. Drop by the Museum of Vancouver for a free information session about its upcoming after-school program, the Youth City Lab, for youth ages 15–18. This unique program provides opportunities to work with leading designers, curators and urbanists in learning more about complex forces that affect our city. RSVP and visit teens.ecuad.ca. The forest and marine ecosystems of BC are amongst the most effective natural carbon sinks on the planet and play an important role in addressing global warming by sequestering emissions. Join the dialogue to learn about these ecosystems with Dr. Colin Campbell and Jens Wieting (Sierra Club BC) at SFU Harbour Centre. Seating is limited. Placemaking pioneer Mark Lakeman returns to Vancouver to anchor and guide a nine-month placemaking course hosted by Village Vancouver, in partnership with City Commons and Living the New Economy Vancouver. This course is designed to empower and facilitate community leaders in creatively reimagining space in urban environments. The public talk by Mark is Feb 7 at SFU Woodwards. The course kicks off on Feb 8 with Mark and local permaculture educator Sara Dent. Get early bird tickets for the talk and learn about the course at the City Commons website! If you’ve always wanted to perform a solo act, learn how to hold a guitar, compose a story or record a sound, this is the place to do it. No judgement. Total support. And a lot of fun. Read more about transportation and costs on the Community Catalysts website, or email info@communitycatalysts.ca. A 2012 grey Chevrolet Orlando (#505) has replaced the 2008 Toyota Sienna. A 2013 white Nissan Sentra (#508) has replaced the 2007 Nissan Versa. There is a 2013 red Dodge Grand Caravan (#509) temporarily at this location until January 31.